New daily persistent headache (NDPH) is a rare primary headache disorder, which often has a refractory clinical course. This narrative review seeks to highlight what is known about the development of NDPH, to outline a diagnostic approach to a patient with new daily headache, and to explore management considerations and potential future therapies for patients diagnosed with NDPH. Interval work at the level of case series and cohort studies has identified novel triggering factors (e.g., Valsalva), subgroups with unique temporal profiles (e.g., thunderclap onset), psychophysical profiles (e.g., increased pain catastrophizing), and potential treatment options. The approach to the diagnosis and treatment of NDPH remains individualized, driven by clinical features and challenging in most cases. 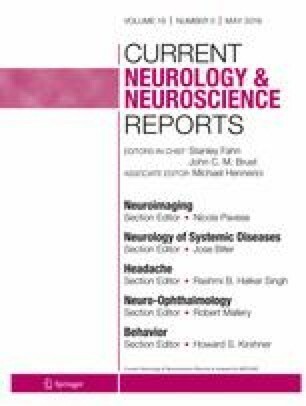 Earlier identification of patients (e.g., prediction of patients with status migrainosus destined to develop NDPH) may allow for more effective treatment. Jonathan H. Smith reports royalties for the articles “Acute treatment of migraine in adults” and “Preventive treatment of migraine in adults” from UpToDate and a speaking fee (January 2019) from AMGEN, outside the submitted work. Emily J. Riddle declares no potential conflicts of interest.